A contraction is a shortened form of one or two words, one of which is usually a verb. 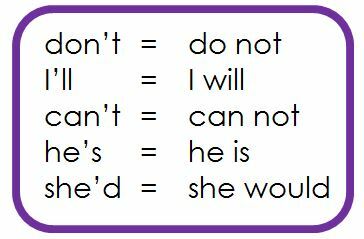 In a contraction, an apostrophe almost always takes the place of the missing letter(s), for example “don’t” is the contraction for “do not”. ← What is VCOP – Big Writing?